Well folks, it’s that time of year again. The time we all set aside our petty differences and quarrels and wonder where all these giant explosions and aliens/monsters are coming from: big-budget summer blockbuster season! The focus of these big summer action movies typically ranges anywhere from rogue cops to superheroes, but my personal favorite blockbuster genre usually includes some kind of giant thing fighting other giant things, and this year completely knocked it out of the park with Guillermo del Toro’s newest movie: Pacific Rim. Pacific Rim basically boils down to humanity needing to build colossal, drivable robots (Jaegers) to fend off an onslaught of equally colossal monsters known as “Kaiju” that have surfaced in (you guessed it) the Pacific Rim. 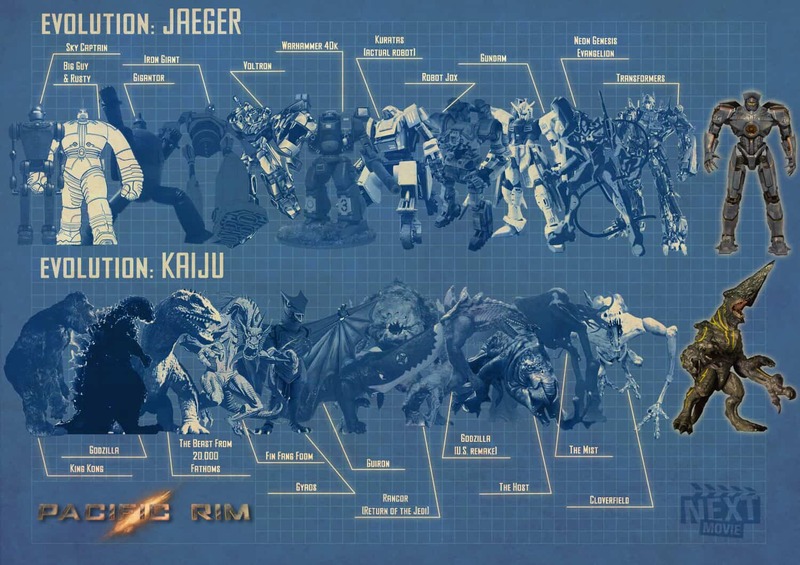 Today’s infographic takes a look at the history and evolution of giant movie monsters vs. giant movie robots and what has led us to the incarnations seen in Pacific Rim. The Kaiju that destroy and demolish cities in Pacific Rim have come a long way from their (relatively) humble ancestors such as King Kong and Godzilla, while the nuclear-powered Jaegers could definitely teach Voltron and the Iron Giant a thing or two about being a skyscraper-sized battle bot.